Streaming while traveling can be complicated. When you’re at home in the USA, you’re not always aware that you’re getting the most premium TV on the planet. Until you get on a plane. Or sometimes, just into a car. Cross a national border and Netflix is a very different beast. Of course, there’s content geared to the country you’re in — there’s way more Thai language stuff on Thai Netflix, no big surprise there. But you’re also saying goodbye to a year’s worth of episodes of some shows, maybe more. And weirdly because of how geo-restriction agreements work that can even happen when you cross a state line inside the US! How can you get around it? After all, you paid for it. Why can’t you watch it? Rights holders — the people who own the copyright on TV shows and movies, overwhelmingly corporations rather than actual people — use geoblocking to increase profitability by segmenting the world into different markets and releasing new content to those markets individually, backed by locally targeted promotional campaigns. But for those of us who just want to finish watching The Walking Dead in peace, all this seems like we should be able to bypass it. Netflix is under orders from its rights holders, the businesses that own the copyrights to its content, to keep their geoblocking intact, so it tries. It doesn’t publish how it does it, but all geoblocking uses roughly the same tools. First and foremost among these is IP blocking identifies IP addresses that are known to be non-local or VPN IPs and blocks them. Far and away the most common tool, and the one that most geoblocking efforts rely on. Other geoblocking tools include monitoring connection speeds to deduce distance and other ploys. But the backbone of geoblocking is IP blocking. They conceal the content of your traffic by encrypting it using asymmetric (public-private key) cryptography. The gold standard is 256-bit AES encryption which is effectively unhackable. This is the ‘Private’ bit. They conceal your location by transporting your encrypted traffic to another server, so when your traffic enters the wider internet, it appears to originate at that server. This is the ‘Virtual Network’ bit. Between the two, a VPN can deliver the programming you want, wherever you are. If you want to watch Swedish Netflix, just connect to a Swedish server. Want to watch US Netflix, wherever you are in the world? Connect to a server in Chicago, New York or LA — your choice — and you’re in. Now you CAN finish watching The Walking Dead in peace! How Does Netflix Feel About This? Like many streaming and other services that use geoblocking, Netflix has also dedicated some effort to prevent you from using a VPN. And while they can compile blacklists of known VPN servers, it’s actually the encryption that sets off their VPN blocker alarms. Don’t sweat it — they won’t block you for using a VPN. When you look at data as it comes into a website, you can tell whether it comes from a VPN or not because VPN traffic has tell-tell signs on its ‘metadata’ — the technical term for the information about itself that each packet of data carries. Not to be outdone, good VPNs began using obfuscation, a technique that conceals the fact that you’re using a VPN by wrapping your traffic in ‘normal-looking’ disguises. To a proxy blocker, your traffic now looks just like anyone else’s. Does it offer obfuscation or dedicated streaming servers? Without these, you might still not be able to watch the shows you want. Does it have servers where you want them? Does it have apps for the devices you want? If you really want to watch TV on your iPad in airports, an iOS app is a pretty vital feature. 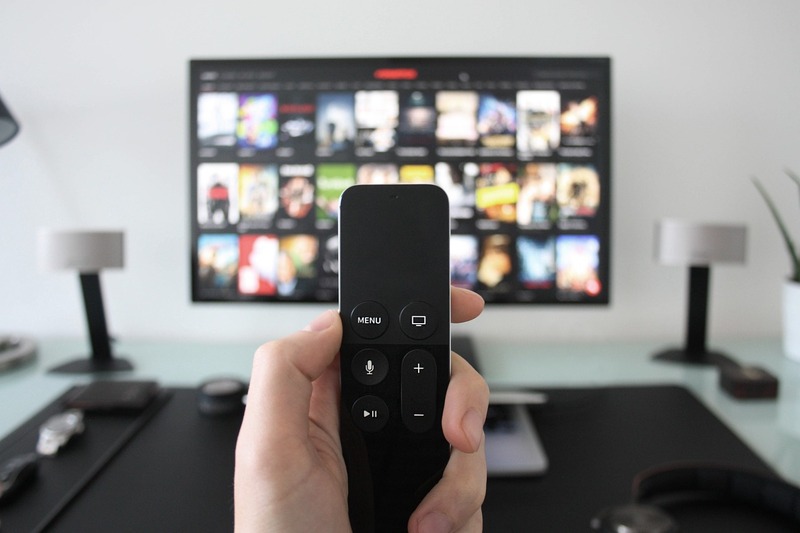 With the right streaming device, like the Google Chromecast, and a VPN, you’ll be well on your way to late night binge watching after a long business conference. And after all, it’s nice to have a piece of home with you when you’re traveling, isn’t it?